Design Reactor partnered with Avaya to create a unified digital strategy across Kroenke Sports and Entertainment. Owners and operators of the Pepsi Center, Design Reactor and Avaya designed a custom fan engagement wall for the arena to extend fan engagement touchpoints for the modern fan to stimulate, educate, and enhance the overall gameday experience. Hosting more than 200 events per year, with a home court advantage for professional NBA and NHL teams the Denver Nuggets and Colorado Avalanche, Avaya’s 21st-century technology enables ‘always-on’ venues like the Pepsi Center to provide state-of-the-art services and technologies to operate efficiently 365 days a year in downtown Denver, Colorado. 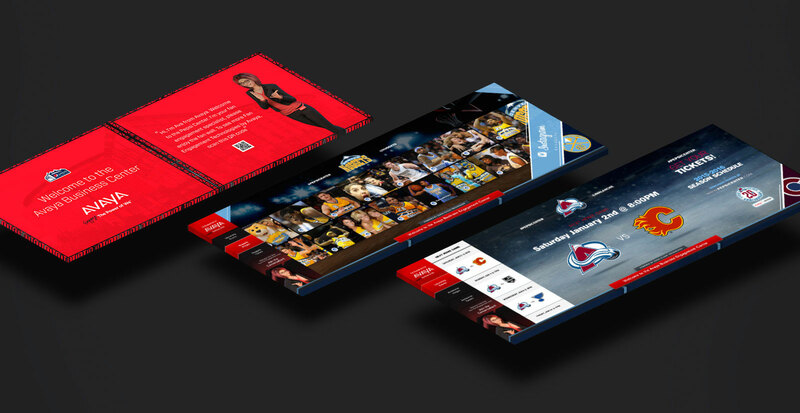 Design Reactor leveraged Avaya's cloud-based technology to create a custom fan engagement wall for the Pepsi Center that highlights their three pro teams, arena info, and community news. The fan engagement wall allows users to interact with each other through social media, view key player and team stats, and check what’s coming up in the Pepsi Calendar of events, further enhancing the gameday experience. 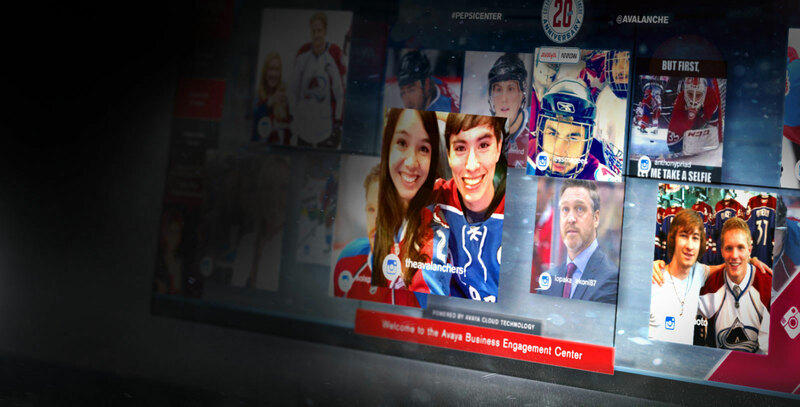 Aggregated social media feeds, real-time data, and promotional capabilities help Avaya and the Pepsi Center create a connected and integrated approach for fan engagement that keeps fans connected, entertained, informed, and a part of the experience as a whole.